It is estimated that the African penguin could be extinct in the wild within 15 years. This startling fact has inspired a group of people to raise awareness about the dire situation this species is finding itself in. 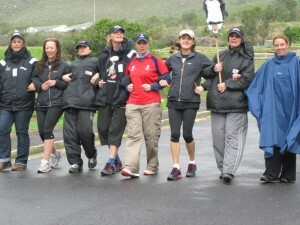 The first ever Waddle in 2011 proved to be a massive success for African penguins everywhere! The exposure created was worth every step of the way and the group is inspired/crazy enough to do it all over again. 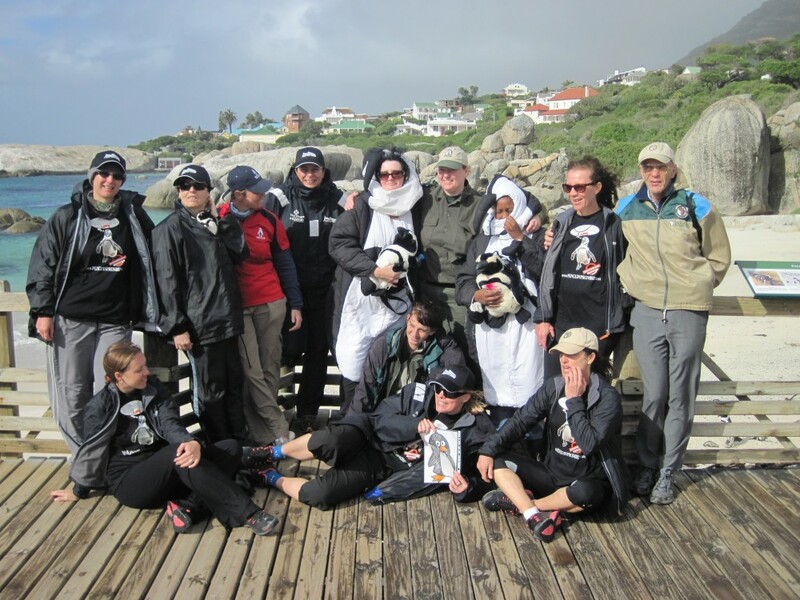 This year they intend to create even more awareness for this only African penguin species which is both endemic and endangered. WHEN: Monday 16th April – Saturday 21st April 2012. Mobilize your town and get the town’s people to support this amazing initiative. Join the Waddlers on their trek, either for an hour or a day or even just through the streets of your town. Speak to the schools and get the school children involved. 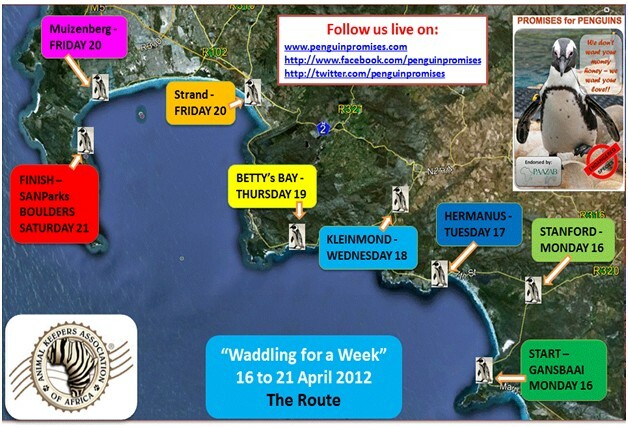 Declare 16 – 21 April 2012 “African Penguin Week” in your town and in the schools. Encourage people to visit www.penguinpromises.com and to pledge their behavior changing promise. Speak to your local media representatives and get them to cover / follow the Waddle for a Week. Make a promise and change your behavior. The Penguin Promises Waddle for a Week is not a fundraising initiative. Instead, this campaign focuses on behavior changing decisions and promises. People are encourages to make a change to their lifestyle that will have a positive impact on the environment. Promises should be simple and doable. Someone might decide never to use plastic straws again. Someone else might feel that changing their garden to a completely indigenous garden might be just the promise that they are willing to make. The aim of the Promises campaign is to change how people see their place within the environment and to change behavior through changing things that people know they can do. The AKAA welcomes anyone to waddle either all the way with us – or simply a day – or a few hours…! The Two Oceans Aquarium is proud to be associated with the Penguin Promises Waddle for a Week. Cape Point Route LOVES penguins! 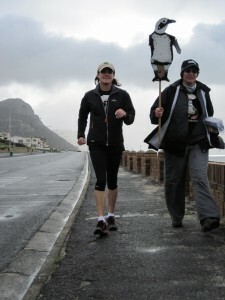 This entry was posted in Cause, Holidays and Special events and tagged African Penguins, Penguin promises, waddle for a week. Bookmark the permalink.